The "Fantastic Frenchman" was finally able to outlast 'Digger last month at the Backlash PPV, narrowly upsetting the "Graveyard Monster" to win the Intercontinental title. But the cheap tactics he used to win infuriated 'Digger, and the angry ex-champ made sure to get his rematch at the next PPV. 'Digger entered with a serious amount of focus, ready to destroy his French rival. Lutte then entered with a boatload of swagger, showing off his title and taunting the "Monster". When the champ climbed into the ring, 'Digger met him with a vicious clothesline and the fight was on! The "Monster" pounded on his rival, hoping to inflict a major amount of damage. With the champ reeling, 'Digger went for the Cemetery Slam but Lutte wiggled free and slid out of the ring to get a breather. As 'Digger approached, the Frenchman reversed him and tossed him into the steel steps! The champ then took control and used his technical skills and suplexes to hurt his massive challenger. In the end, 'Digger regained momentum briefly and again went for the Cemetery Slam. But Lutte backed 'Digger into the corner and escaped, and when the "Monster" attacked he reversed it into his Blind Ambition signature! With 'Digger dazed, Lutte lifted him and dropped him with his Moneymaker finisher and scored the ensuing pinfall to retain the title! Rebel had held the U.S. title since his victory at the Elimination Chamber PPV, but a new challenger emerged after the Draft. The "Assassin" moved from Smackdown to Raw and immediately made a goal to rid the rebellious champ of his belt! The two tough guys agreed to the bout and one special stipulation... Extreme Rules! The two men went right at, hoping to use the stipulations to their advantage. Rebel took control early and with his challenger down, he went and grabbed a chair! The champ laid into Roarke with some vicious shots, but Travis was able to kick out of a pinfall attempt. The missed opportunity angered Rebel, but his overzealousness allowed the "Assassin" to take the momentum. Roarke pounded on the champ, using a kendo stick to blast him with hard shots and his boxing punches to daze him further. In the end, both men battled hard and fought over a chair in the ring. The "Assassin" managed to wrangle it away, tossed it to a surprised Rebel... and then punched it into his face! The shot busted open Rebel and left him in a state of confusion! With the champ reeling, Roarke capitalized and nailed him with his Sactown Special finisher! 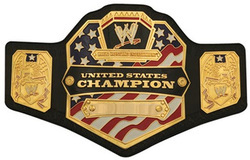 Roarke followed up with a pinfall and won the U.S. title! Melina's year-long reign as the Divas champ ended last month when McCool beat her at the Backlash PPV. The photogenic female wanted her rematch and the two rivals agreed to a title bout! The two Divas battled tough and it was clear their long rivalry had taken the next step. Each woman took control at some point but neither could get a fall. In the end, McCool reversed a move and left Melina dazed. The champ took advantage of the moment, hitting her Faith Breaker finisher to win the match and retain her belt! Antonio Jordan, Carson Pain & DMK vs. This match came about as the combination of several feuds on both the Raw and Smackdown brands. On Raw, DMK's long rivalry with the Badass Coalition continued and Tank & Trucker vowed to end his power with a big victory. But another fan favorite superstar made his disgust with the Coalition well known... Carson Pain! "The Original" agreed to team up with DMK in order to take on the 2 Coalition members. From Smackdown, Ace had beef with Antonio when the "Mastermind" eliminated Ace in a #1 Contender's battle royal earlier in the month and ruined his chance at challenging for the World title again. Naturally, their feud and Antonio's former partnership with DMK led to this 6-man bout with the winning team gaining serious power over their rivals. The crowd jeered the entrances of Tank, Trucker and Ace but went wild with excitement when Antonio, Carson and DMK made their way to the ring. Carson and Ace began the bout, and it didn't take long for things to get out of control. Each man from each side landed some big moves and each tried a pinfall on a member from the rival team, but neither side could get the all-important victory yet. In the end, Antonio and Trucker were the legal men when a big brawl broke out ringside among the teams. Trucker was able to catch Antonio with a White Trash signature, but DMK slid into the ring behind his back! When the "Resident Redneck" turned, he walked right into a Checkmate finisher! DMK and Carson kept Tank and Ace distracted, while Antonio recovered and nailed Trucker with his American Dream finisher! The "Mastermind" scored the pinfall and won the match for the good guys! The crowd erupted into a big cheer as Antonio, Carson and DMK celebrated a big win over their rivals! Eric E. defended his World title successfully last month at the Backlash PPV, but Smackdown GM Teddy Long had a surprise for him as the calendar turned to May... a 6-man battle royal would determine his next challenger! The big match was held on a recent Smackdown and the crowd was pleasantly shocked to see... Krizz Torture win! That meant that "2 Cool" was going to get his first 1-on-1 World title shot at the Extreme Rules PPV! The narcissist was obviously not happy to take on a grappler with such large fan support, but he tried his best to maintain an advantage over his challenger as the PPV approached. The match was a hard-fought battle between these two Smackdown stars, and Eric's power clashed with Krizz's athletic prowess. For every big move Eric could land, Krizz found a way to run circles around the champ and hit some impressive moves. In the end, Krizz had control and was able to get Eric down with his Cool Drop signature! The crowd got pumped as Krizz prepared to deliver his Torture Rack powerbomb, and he grabbed the champ and taunted the crowd! But Eric had just enough left in the tank, and reversed Krizz into a back body drop! The counter dazed Krizz and swung the momentum to the narcissist, who grabbed his challenger by the neck and slammed him down with a finishing Final Verdict! Eric was able to get a pinfall and retain the title despite the crowd's disapproval! David D. had used Renegade's growing popularity and improving in-ring ability to his advantage the last few months, stealing wins after Renegade seemingly has the matches won to retain his WWE title. Renegade demanded a 1-on-1 title shot at Extreme Rules, and made it happen by winning a #1 Contender's match earlier in the month. The feud between these two had finally boiled over, and as the PPV approached the fans could barely await this slobberknocker. To up the ante on the title bout, Raw GM Stephanie McMahon added a stipulation... an Extreme Rules match! Renegade entered the area to a huge ovation, as the crowd wanted him badly to end David D.'s reign of terror and win his 1st WWE title. When the champ's music hit, the crowd booed loudly as the "Dangerous Genius" made his arrogant entrance. When the bell rung, the main event was on and intensity had reached an all-time high! The crowd's reactions swung with nearly every punch, move and reversal as these two Raw stars battled it out for the brand's top prize. Renegade's athleticism allowed him to gain control early, landing some impressive kicks and high-flying maneuvers. But despite that, David's tricks caught Renegade off-guard and swung the momentum back to the champ. The "Genius" decided to take advantage of the stipulation, and used both a steel chair and a sledgehammer to damage his challenger severely. In the end, David D. seemed to have his title retained again when he countered a move and landed his Dangerous DDT signature. The "Genius" pandered to the disgusted crowd, and taunted them as Renegade lay prone on the mat. But David D. failed to account for Renegade's quick recovery, and the revolutionary kipped up as David taunted the crowd! The "Genius" turned unaware and Renegade nailed him with his Kick-olution finishing kick! The crowd chanted the count along with the ref... 1... 2... 3!!! The crowd burst into a huge cheer as Renegade had completed his life-long dream and captured the WWE title! The ref handed Renegade his new belt, and he stared in disbelief as the crowd went wild! Then the revolutionary superstar rose up and held his belt high, soaking in the crowd's delight as the PPV came to an excited close!